This morning I decided to venture out again to Gt Barton though this time from home. I repeated the same route though this time continued further along Green Lane turning past Holy Innocents Church at Gt Barton Suffolk. 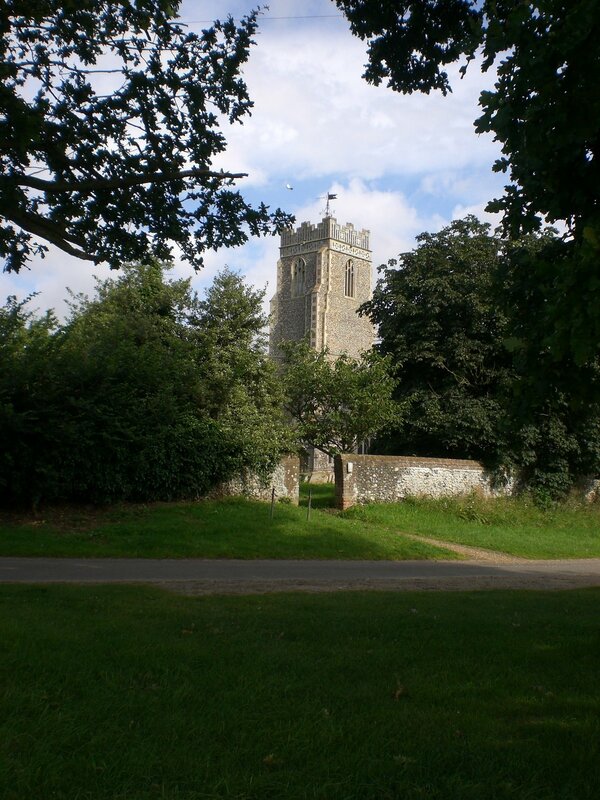 From a traditional site in Suffolk of the village church I then saw something I haven’t ever seen before except in zoos. 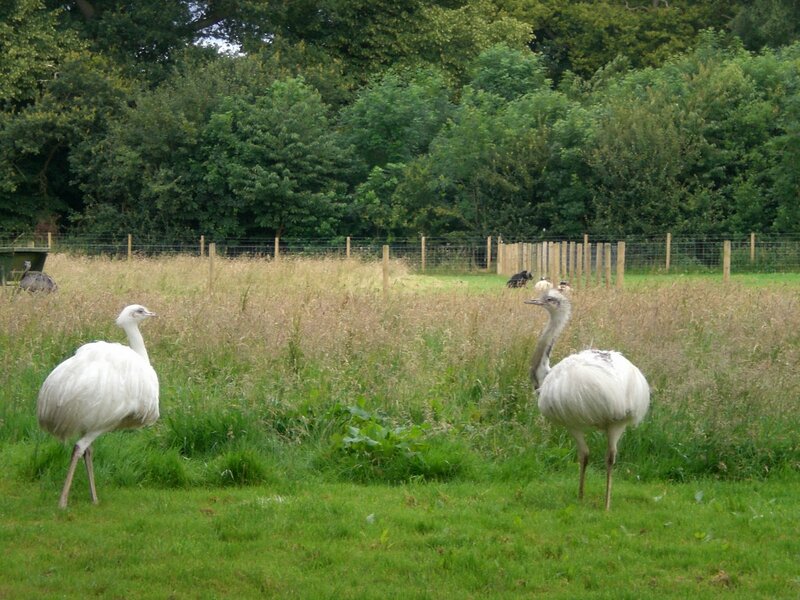 I am not sure whether they are emu’s or ostrich’s but presume they are the latter as they are increasingly farmed for their meat. They are officially classed as a dangerous animal and can out run any human. Perhaps someone knows for sure emu or ostrich? 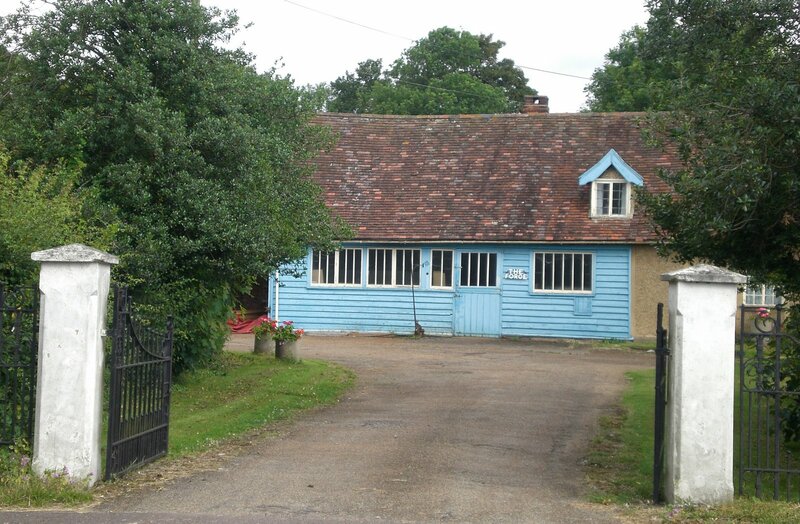 Continuing into Gt Barton I passed the old forge, I like the boards which are painted in a duckshell blue. 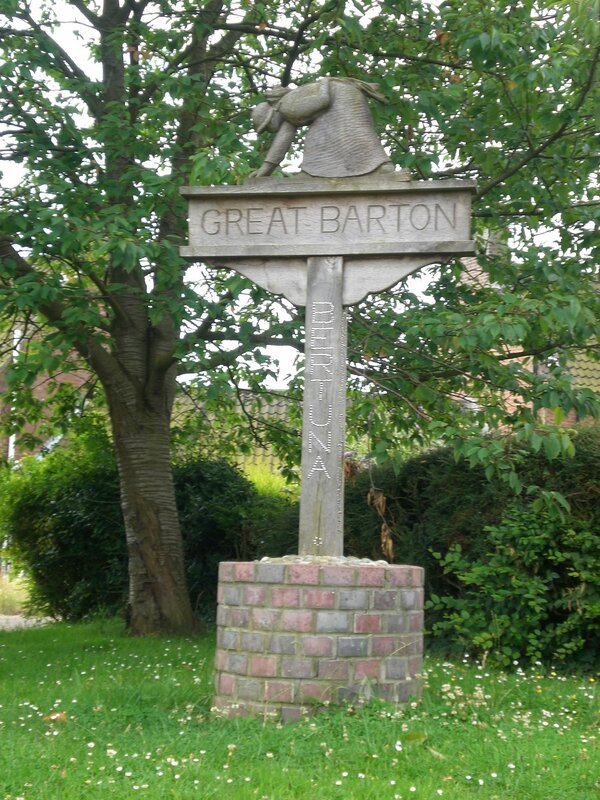 My turning point for home was reached at the Gt Barton village hall where the village sign is located. Running home I passed a large field of tall purple flowers in a scrap of a field seemingly growing as weeds. 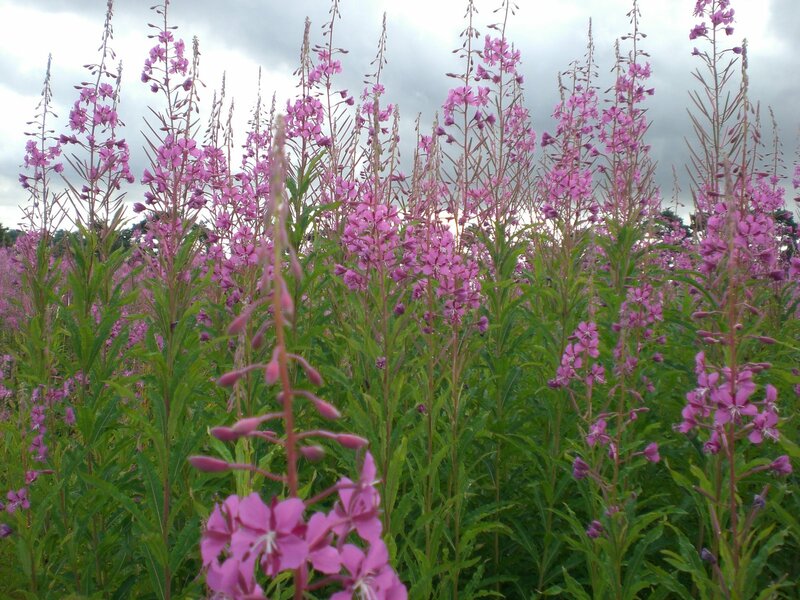 No idea what they are but quite a pretty purple patch as you enter Bury from Gt Barton the A143. A bit of chicken news for you. Two of our point of lay chickens are now laying and we are getting 2 eggs a day. Both the speckled hen and the blue bird are laying. To date we have had 14 eggs and they are beginning to repay the investment we made. at the end of May. I would say we spent £500 to set ourselves up with chickens and it has been something I would recommend to anyone. You can of course set up at a lot lower cost than this this and currently it means that everyone of our eggs has cost us about £40! We bought our hen house at Tillett Pet and Poultry from Beccles and we are very pleased with this house providing as it does a sturdy house with a run. The houses are very simple to set up but I think you can also get a delivery. I think the house was £350. You can buy a complete set up kit from here including the house, though we got every else that we required including food layer pellets and corn bedding feeders and of course chickens. There is nothing quite like finding your own eggs in the hen house freshly laid and sometimes still warm. Boiled, poached and scrambled eggs are all getting popular and there is no need for us to buy eggs anymore. We have been using them in cakes as well and once our brown chicken Antony Worrall Thompson starts laying we will be up to about 20 eggs a week.